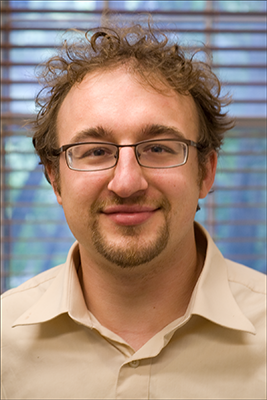 Josh Pacewicz is a graduate of the Sociology program at The University of Chicago and spent two years at Stanford University as an ASA/NSF Fellow on the Current Economic Crisis before joining the faculty at Brown. He is broadly interested in contemporary American statecraft, particularly the interplay between federal policy and party politics, municipal finance, political advocacy and expertise, and more generally the democratic process. His first book, entitled Partisans and Partners: the Politics of the Post-Keynesian Society, examines municipal and partisan politics in two rust belt cities to arrive at a radically new account of the sound and fury within contemporary American politics. The book shows how changes in American federalism—especially the corporate merger waves that followed 1970s-era financial deregulation and changes in the prevailing logics of inter-governmental finance—reshuffled each city's leadership class by creating opportunities for the emergence of coalitions predicated on the avoidance of divisive issues in favor of broad-based partnerships. The book's central argument is that these dynamics have polarized American politics by leading community leaders to avoid partisan politics, thereby leaving the reins of the two political parties in the hands of ideologically motivated, and vocal, activists—a claim that the book illustrates by analyzing the interplay between community institutions, grassroots parties, campaigns, and everyday voters over the course of the 2008 and 2012 election cycles. The book also provides a unique take on the roots of Rust Belt populism. Josh has also written academic papers on the politics of exotic municipal bonds, community leaders' efforts to make regional markets amenable to the needs of corporate subsidiaries, and the recursive relationship between municipal bureaucracies, municipal bonds markets, and credit rating agencies. These studies have appeared in the American Journal of Sociology, Social Problems, Socio-Economic Review, and City and Community and won multiple awards (including the ASA's Jane Addams and Charles Tilly Awards). Josh has also written about municipal finance, the Obama campaign, rust belt economics, and Donald Trump for popular outlets like the Washington Post and Salon.com. Currently, Josh is working on a medium-term project that focuses on fiscal politics in Chicagoland. He has also begun fieldwork on a second book-length project, tentatively entitled Policy Worlds, which examines how policy professionals, advocates, civic leaders, bureaucrats, lobbyists, and legislators co-create policy in Rhode Island and a still-undetermined comparison case.